Ricoh introduced the Photocopy machine on rent in Karachi Ricoh 1035 as a standard copier with a flexible upgrade path. Options include printing, faxing, and scanning; this is great for growing businesses to reduce the initial cost of the machine and add as you go. Moreover, multiple copies are dispersed at a quick rate of 35 pages-per-minute; first copies are output in 3.6 seconds. The toner (888062) for the Ricoh AFICIO 1035 has an estimated yield of 23,000 pages when averaging 6 percent coverage. You can choose between the premium compatible and genuine Ricoh brand when purchasing replacement toner. Paper sources stem from the dual 500-sheet drawers and 50-sheet bypass tray. There are multiple tray options available to reach the 3,550-sheet max capacity Moreover, automatic duplex is a standard feature on the Ricoh AFICIO 1035 to help save on paper consumption and filing space. The optional printer/scanner kit for the Photocopy machine on rent in Karachi Ricoh 1035 serves as a gateway to the system’s internal storage and user friendly. Users can scan their paper-based documents at 600 dpi resolution. It is immediately store them as files on the standard Document Server. Although, Files which are already exist in digital format can also send to this Document Server for later retrieval and reproduction through this machine. this stored information from their PC screen. Smart Net Monitor provide efficient document management from the convenience of their desk! Furthermore They can dispose of the information obtained from this repository in any way they desire. Paragon also provides the facility to Photostat Machine on Rent in Karachi, its wide range of customers like manufacturing industries, pharmaceutical companies, offices, schools, hospitals, hotels, and banks. Paragon offers flexible and affordable copier on monthly rent basis for many different applications. Whether you need it for four days or four years, we can work with your needs. You pay month-to-month for as long as you need it. This gives you total flexibility over photocopier machine. 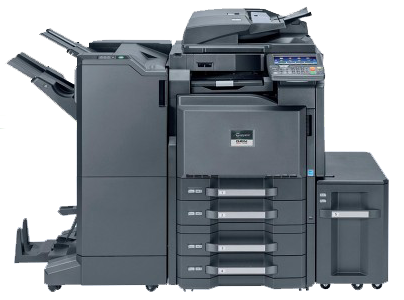 If you would like to upgrade photocopier, renting you copier gives you the complete ease and relaxation to help your business grow and flourish without worry.